Let's face it: When most people see a dog wearing a muzzle they assume the dog is aggressive and dangerous to be around. Just the sight of a dog in a muzzle may cause people to keep distance and move away to a safe area. Yet, all dogs benefit from being trained to wear a muzzle—this includes puppies, small dogs, and even the friendliest of dogs. Albeit fear-evoking, muzzles can come in handy in various situations, especially at the veterinarian's office. If your dog is in deep pain one day, his or her instinct may be to bite. It doesn't matter how sweet your dog is and the fact he or she doesn't have one mean bone in its body. When a dog is in pain and is touched a certain way, turning around to bite is a reflexive action. Don't let your dog acquire a “bite history" when it can be so easily avoided! Vet Visits: If your dog is nervous when at the vet, chances are he may be taken to the back room and muzzled if the staff feel the need to do so. Vet staff may slip a muzzle over your dog's nose or may tie the muzzle shut with a strip of gauze. This can be a scary experience for a dog that wasn't trained to wear a muzzle. New Introductions: Muzzles are obviously used in other situations, too, such as when there is a chance that a dog may become fearful or defensive—as with dog- or people-aggressive dog introductions—or as a temporary solution for dogs who have a tendency to damage household items or ingest objects that can put their health and safety at risk. Public Places: Muzzles also come in handy if you ever frequent a place where there are muzzle laws—as is the case in public places in several European countries. Luckily, on our last trip to France, we were prepared. 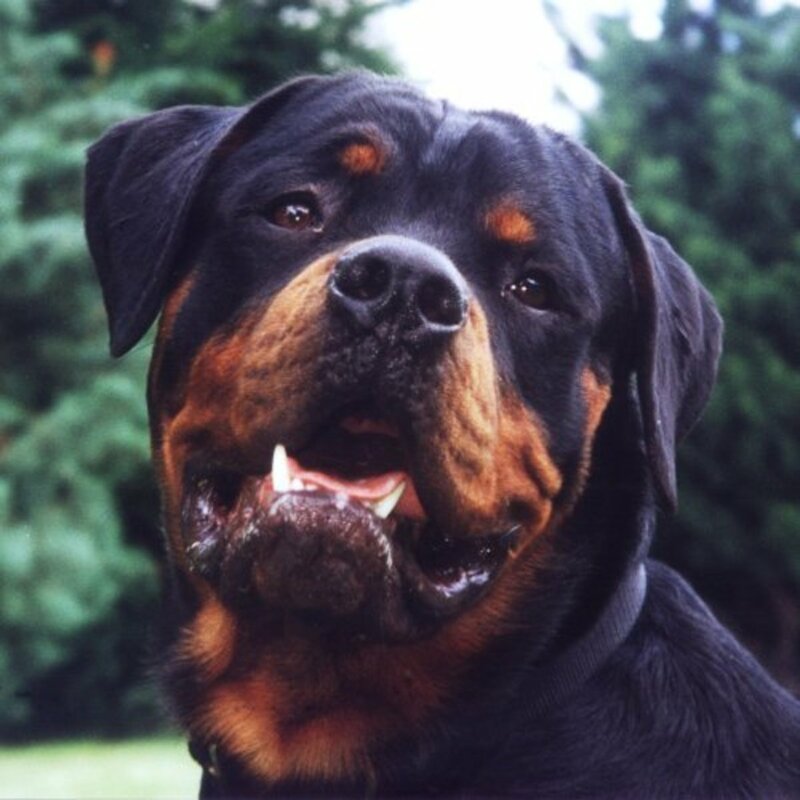 Muzzle laws were in place and our Rottweilers had to be muzzled when walked in some crowded areas. 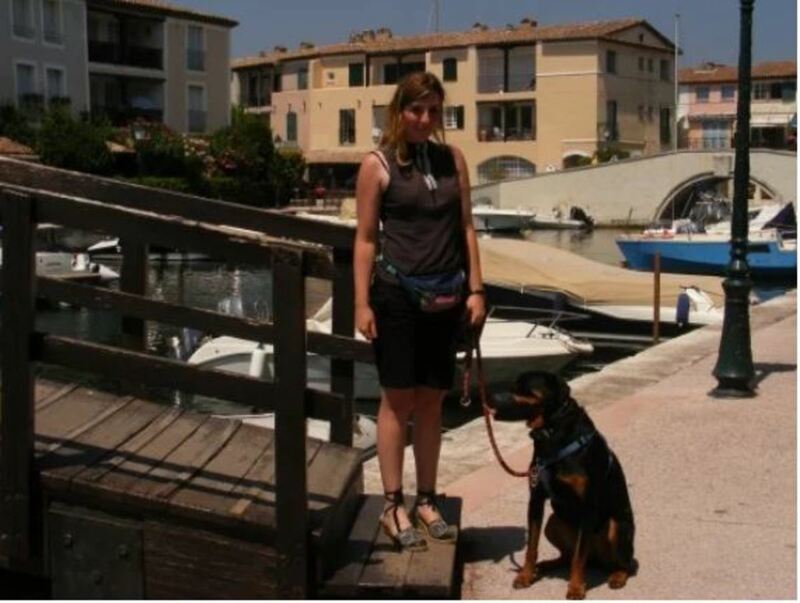 Muzzles were also needed when we took our dogs on a cruise trip in Italy. Why Is Early Muzzle Training Important? Training puppies to wear a muzzle from an early age can be advantageous so that, should they ever need to be muzzled at some point later on in life, they won't find the experience intimidating. Even older dogs can be conditioned to wear a muzzle. Without training, the muzzle will likely be disliked because the dog is often restrained and forced to wear it. Once on, most dogs without training will spend most of their time trying to remove it by pawing at it and rubbing against the floor, furniture, and people to try to remove it. This can become an animal welfare issue seeing that these dogs are emotionally distressed. The goal of training a dog to wear a muzzle is to teach them to love to wear it to the point that they want to voluntarily wear it. It's easy to create positive associations with the muzzle and the sensation of wearing it. This is best accomplished by using a training method known as shaping. All you will need is obviously a dog, a muzzle, some tasty treats, and a clicker (optional). Muzzle training came in handy on our last trip to France where there are muzzle laws! Shaping is a training method that consists of rewarding successive approximations of the final behavior. It requires a step-by-step approach. 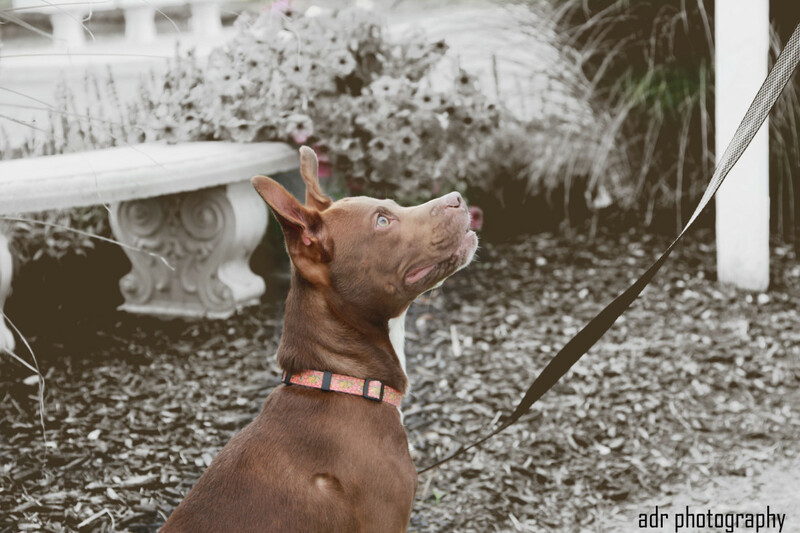 With this method, once your dog has progressed to the next step, you continue to reward them for progression and not retrogression unless your dog is at some point stuck or confused. A clicker is often used to mark desired behaviors with shaping. A clicker is a noise-making tool that simply informs a dog that he or she has performed correctly and will be earning a treat. While a clicker provides cutting-edge precision, its use is optional. In lieu of a clicker, it's okay to use a verbal marker like the word "yes" followed by a treat, although, the clicker may be preferable because it always sounds consistent compared to your voice. To train a dog to accept and even "love" the muzzle requires creating a positive association with the muzzle—the dog is clicked for looking at it, walking towards it, then sniffing it. Treats happen when the muzzle is present. We do this in hopes of creating a conditioned emotional response to it. Afterward, we start asking the dog to insert his muzzle through the loop. This is done with the temporary aid of a food lure. We will then be adding a verbal cue and start fading the food lure so that the dog doesn't end up depending on the treat's presence. Below is a step-by-step guide on how to train a dog to wear a muzzle. 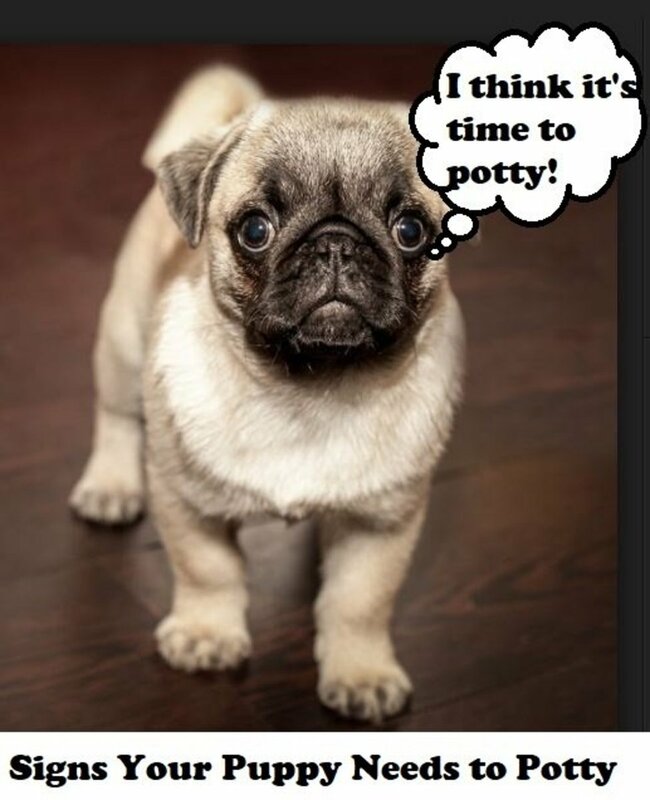 Because most muzzles restrict a dog's ability to pant and drink, you cannot leave one on your dog for a long time and without your supervision. 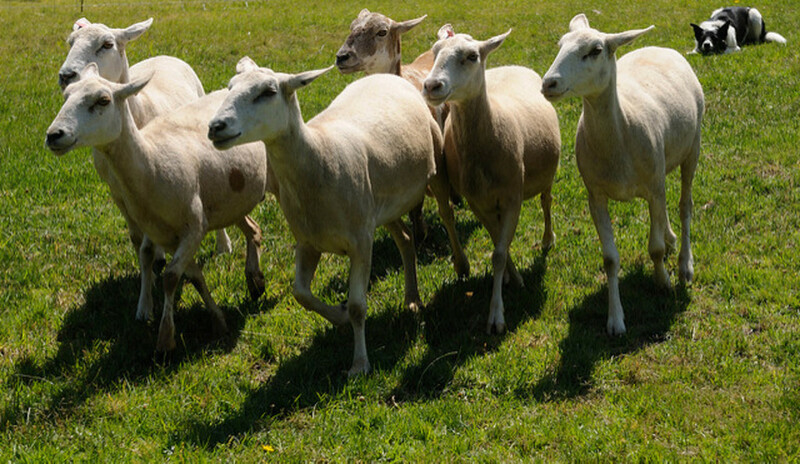 In warmer weather, a muzzle can cause heat stroke. Muzzles come in a variety of types such as wire basket muzzles, plastic basket muzzles, and fabric muzzles. The muzzle shown in this article is a nylon muzzle. There are also special muzzles on the market designed to meet the needs of brachycephalic dogs such as the Boxer, Bulldog, and Pug. Items needed to train your dog to wear a muzzle. In a room with little distractions, hold the muzzle in your hand and click and treat behaviors that suggest your dog's interest in the muzzle. You may start clicking and rewarding your dog for simply looking at the muzzle. Toss the treat at a distance. Repeat this several times. Next, click and reward your dog for walking towards the muzzle. Toss the treat at a distance so that your dog keeps coming back for more interactions with the muzzle. Repeat this several times. Next, raise the criteria. Click and reward your dog for sniffing the muzzle. Toss the treat at a distance. Your dog should freely keep coming back to interact with the muzzle. Repeat this several times. Now, open the muzzle, and with the help of a treat, guide your dog to insert his nose inside the muzzle in order to get to it. Click and feed the treat through the muzzle. Repeat this several times. 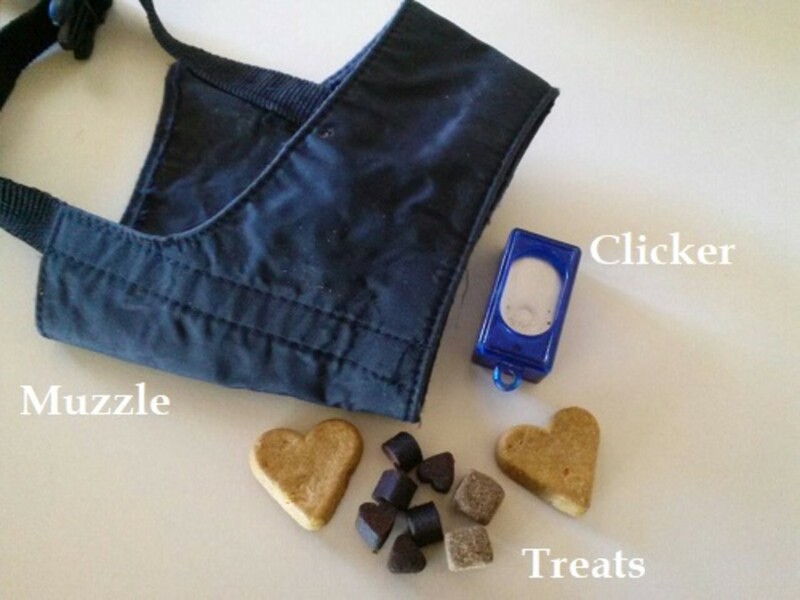 Put the behavior of inserting the muzzle on cue by saying "muzzle" followed by a click and treats fed through it. Repeat this several times. Raise the criteria. Again, use the treat to help your dog insert his nose inside the muzzle to get it. Click and feed the treat. Then, fasten the buckle and feed several treats through the muzzle. Remove the muzzle and do not offer anymore treats. Become boring. Repeat this several times. Stop showing the treat to encourage your dog to insert his nose through the muzzle. Ask him to "muzzle" and then feed several treats on the floor. Start increasing the time your dog wears the muzzle and start mixing various rewards for wearing the muzzle. Praise your dog, pet him, play with him, feed some treats. Then, when you remove the muzzle, become boring once again. 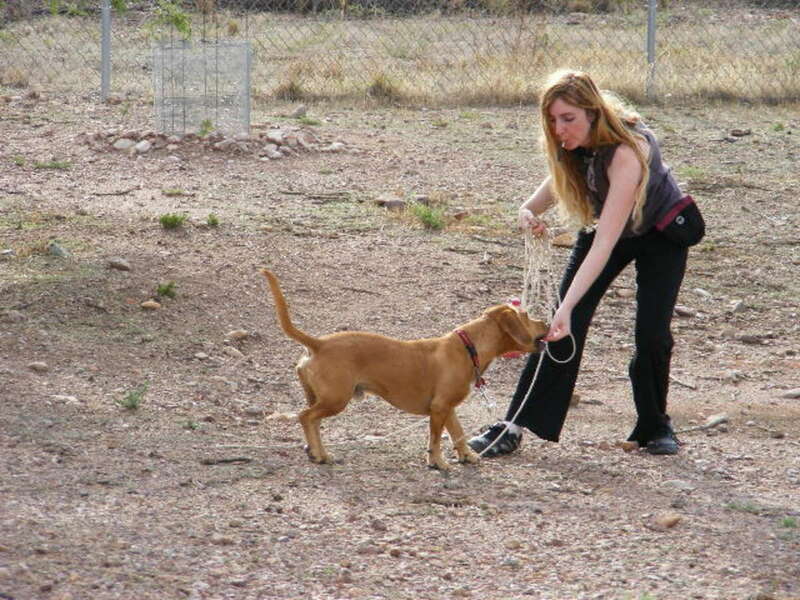 Apply the same training in other places (yard, walks) to help your dog generalize the behavior. To prevent a difficult dog from removing its muzzle during an exam, I thread one of the muzzle straps under the dog's collar and then snap the muzzle clip closed. If the dog's collar is a good fit, the dog cannot remove the muzzle. If you have trouble fading the food lure that is fed through the muzzle, try pretending you have a treat in your hand. Show your hand as if holding the treat through the muzzle but feed a treat from your other hand. Other options include making the treat you feed through the muzzle smaller and smaller and eventually simply having the scent of the treat in your hand, then feeding a treat from your other hand. The goal is to no longer use food to get the dog to insert his nose inside the muzzle but to use the food right after to reward the behavior. If you have a noise-sensitive dog or your dog seems frightened by the noise of the buckle fastening, create positive associations with it initially from a distance. Allow it to make the click sound as you buckle and quickly toss a treat—click, treat, click, treat. Do this until your dog starts looking for a treat upon hearing the clicking sound. Gradually, move it closer until you can make the clicking sound near your dog's face and ears. Progress to making the clicking sound on top of the head and then let the dog wear the muzzle by fastening it and giving your dog a treat. If your dog doesn't seem interested in the training process, invest in higher-value treats. If your dog suddenly starts scratching, yawning, or licking, these may be displacement behaviors suggesting that your training session may be getting too difficult, boring, or stressful. Give your dog a break. End the training on a positive note by asking your dog something he knows well. Reward it and resume the training at a different time. While muzzles can prevent a dog from biting, they don't do anything to stop or modify aggression. 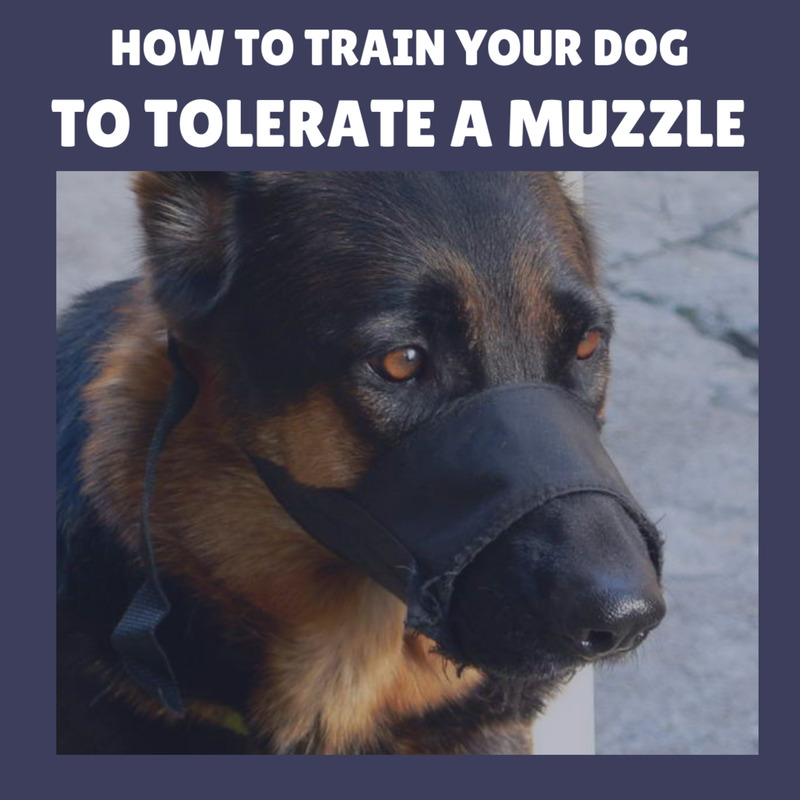 Used improperly, a muzzle can exacerbate aggression because it gives people a false sense of security and potentially exposes dogs to situations that normally they wouldn't be exposed to. Often dogs are flooded with stimuli when wearing a muzzle just because of its reassuring presence. This intense level of exposure can backfire and cause the anxiety to become worse. If your dog is aggressive, yes, using a muzzle is fine if you are concerned about your dog potentially biting somebody, but make a commitment to work on changing the underlying emotional state that potentially causes your dog to act aggressively in the first place. In other words, try to tackle the underlying issue of your dog's stress and fear through gradual exposure and create positive associations through desensitization and counterconditioning. 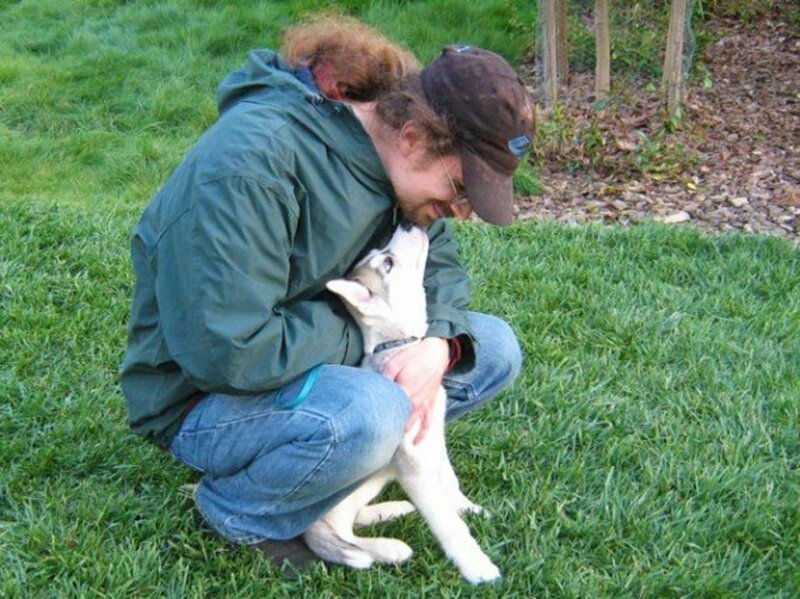 For safety and correct implementation of behavior modification, consult with a dog behavior professional who uses gentle, humane techniques. Some dogs may require medication to better manage the underlying anxiety that makes them aggressive. For example, if your dog is fearful when his paws are handled, have a professional show you how to desensitize your dog to paw touches and create positive associations through counterconditioning. You may still need to have him muzzled for nail trims at the vet's office to protect staff just in case, but at least your dog won't be overly stressed and close to his bite threshold. On top of this, consider that although muzzles can prevent biting, dogs are still capable of harming and injuring people in other ways. The use of flooding is almost always inappropriate . . . exposing a fearful or fearfully aggressive dog to a stimulus of which he is afraid of but cannot escape, will make the fear worse. Leash training and why it's important.